“Pilates on crack,” is how Amanda Freeman, owner of SLT and co-founder of Vital Juice, describes New York’s newest fitness addiction. 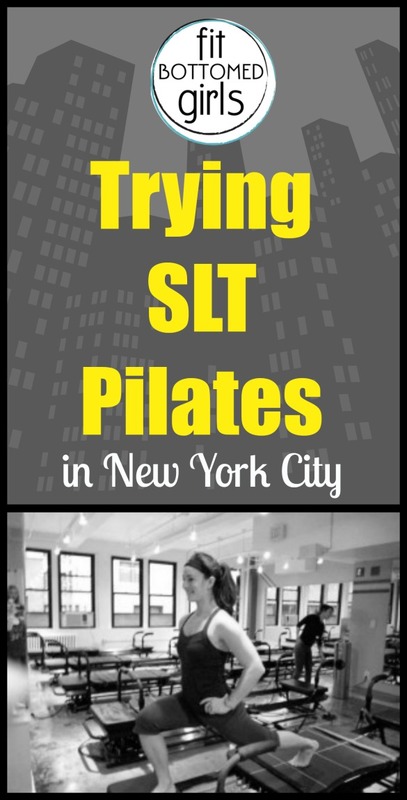 SLT, which stands for Strengthen, Lengthen and Tone, has been a popular Los Angeles hybrid workout and has finally made it to the Big Apple. The 50-minute class, which was taught by Amanda herself the day I was there at the NYC studio, was a mix of dripping sweat, bumping beats and total body shaking. I arrived at the Midtown studio a few minutes early to witness the calm before the sweating storm. The studio consists of 10 Megaformer machines and full-length mirrors, so you can not only feel the quivers, but also see them! The Megaformer, an evolution of the traditional Pilates reformer, is Sebastien Lagree’s total-body tool to create a long, lean physique. The Megaformer uses adjustable springs and a pulley-system underneath its leather padding to create resistance and counter-resistance for many different exercises and multiple positions to hit all muscles of the body. The 50-minute class was quickly over and each muscle in my “young” exhausted body had been hit. I loved the way the Megaformer strengthened and stretched each muscle without impact, making this workout good for men and women who may turn away from exercise due to joint pain. Although class is on the pricier side at $40 per class, you won’t find it anywhere else in the city. The Midtown studio makes this class easily accessible before and after work—or even on your one-hour lunch break. What I like best about Pilates is that it is a no pain workout. I have been taking Pilates for years, and am in wonderful shape, without having to stress my muscles and joints to the point of pain. There have been very few times, I have left Pilates feeling bad or had pain the next day, but I am toned and lengthened without stress AND I look forward to going. This sounds like pain and sweat for no reason. I completely agree Joyce! “Pilates on Crack” is NOT Pilates, and every client I have seen who did this workout routinely in LA or London ended up in neck and back pain.